Our lightweight pleated skinny scarf is easy to wear in transition season. Improve your wardrobe with this modish pleated skinny scarf. This scarf features a long length that you can wear in a variety of styles, including as a neck scarf, head wrap, or bag accessory. The lightweight design makes this scarf easy to tie on or remove as needed. Soften your look with this grey-striped infinity loop scarf. The lightweight scarf adds casual appeal to a cute top and keeps your neck buffered against stray breezes. The neutral tone makes this an accessory suitable for year-round wear. This zebra animal print oblong scarf is light yet protective, stylish and a timeless piece. This soft polyester scarf is a must have for your stylish wardrobe throughout the seasons! Wear as a shawl, neck scarf, hair tie–the possibilities are endless. This patterned oblong scarf is the accessory you need to spice up your wardrobe! Adorable zigzag lines create an abstract look when wrapped and tied different ways. Lightweight and ideal for pairing with summer outfits for extra fun! Available in black or blue. A rectangular sheer scarf featuring a whimsical dove-inspired silhouette print. Knot around your neck or tie to the handles of your purse. Created with light, sheer polyester fabric for yearly wear. Take a walk on the wild side with this brown and black colored leopard print scarf. A popular oblong-cut scarf, now in complementary exotic leopard print. Timeless enough to go with just about anything and chic enough to turn more than a few heads! Lightweight material for summer wear! This glam floral scarf makes the perfect accessory for a fashionable addition to your everyday outfit. A vivid floral print highlights this classic scarf made from lightweight polyester fabric, perfect to wear during sunny weather. This lightweight yellow scarf has delicate butterflies and blooming florals embellished throughout this luxe sheer scarf. We love using this feminine piece as an outfit add-on for bright and sunny days. This oblong accessory adds the perfect finishing touch to your favorite everyday looks! 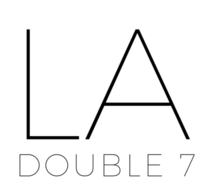 LADouble7.com is for wholesale or chain-stores buyers only, and it functions exclusively as an online catalog archive of our products. Please direct to b2b.ladouble7.com if you are a wholesaler interested in purchasing in-stock inventory items.